Lyon loom as a "very dangerous" Champions League proposition for Barcelona, according to Ernesto Valverde. Ernesto Valverde cautioned Barcelona against complacency after confessing to knowing little about Champions League last-16 opponents Lyon. The LaLiga leaders avoided an undesirable date with Liverpool in Monday's draw but were set the awkward challenge of a developing team that went unbeaten in Group F.
Lyon memorably toppled Manchester City at the Etihad Stadium in September and twice led the Premier League champions during an entertaining 2-2 draw in the reverse encounter. 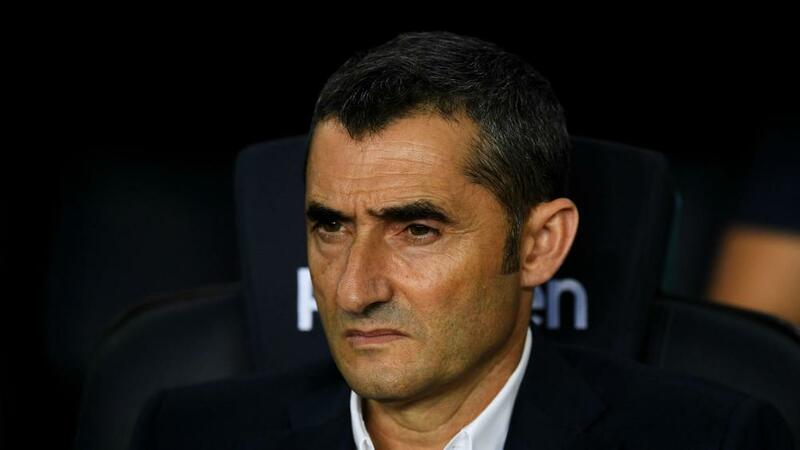 Valverde, who guided Barca comfortably through a group containing Tottenham and Inter, conceded his knowledge of the Ligue 1 outfit is limited, but the Spaniard knows enough to be wary. "The truth is that I have seen little. I have a general idea, there are some players that we know, but we have to prepare well," Valverde told his club's media channel. "It's a team that was challenging City for leadership of the group until the last game and won at their ground. "That shows the difficulty to win any game. Not only for us, but for any team. "I have the sense they are a very dangerous team in space because they break very well, very fast, and we have to be a little careful. "We can't afford to be complacent. We have two months to refine ourselves a bit more, to study the opponents more and get to the tie in good shape." Barca, three points clear in LaLiga, are aiming to improve on three straight quarter-final exits in the Champions League. They will meet Lyon in France on February 19 before hosting the return leg in Spain the following month.